" Creativity is a drug that i can't live without' – Cecil B. Demille StickertyClick, Destination for all of your edgy creative needs. Customer Service: A must for any business. 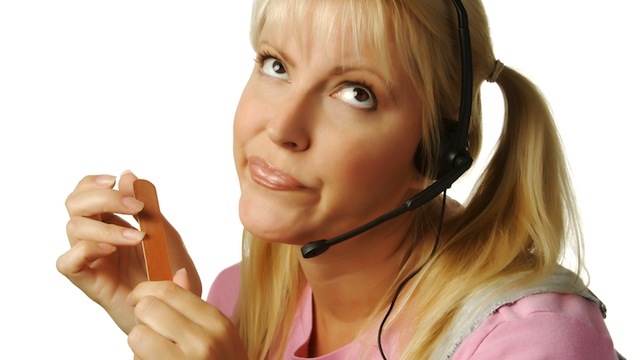 Customer service these days is the make or break of any company. To put it plain and simply if a customer is getting treated better by someone else, and you are not doing the job for them – pft.. forget them, they will be gone in a heart beat. In my day job i have had the opportunity to realise how important a little bit of love and attention dedicated to your customers can make. There is a lot of other competition for this business that i work for as well. Therefore, being at the bottom of the food chain, i see myself as being the face of the business. My face is the one the customer see’s and has to interact with, so why not make it a good one? I try to think of it this way, the customer is buying things from me personally right? Well why would i try to convince them not to purchase something from me. I want their money so that i can have a pay check at the end of the week. Here i have analysed everything that i do to look after my customers and make sure they enjoy there experience. With this list, it is developed on a hospitality background — however, you can take it and make it more relevant to you. Always be willing to help – If someone needs your help.. well bygolly my friends go help them. Do everything in your power to be able to find your customer the answer to their problem. This might take time and effort but with that time and effort you put into looking after that customer, they are going to look after you by coming back to you and giving you their money. Put your own trouble aside for the day – Don’t get me wrong, i have a tone of bad days but i forget about it as soon as i put on my uniform. I try to talk to as many people as i can in order to place myself in a positive environment that will in turn make my mood go from zero to hero!! Try to keep those two worlds separate from each other. Never look to start a fight. Only be interested in looking for a solution. Remember: Piss them off and they could get nasty. Body language, body language, body language!! Get them to write something down for you so you understand. When i see the basic rules of customer service broken, it just hurts me inside. It ruins my day because i try so hard to look after other people and feel like i never get that in return. Especially at a local coffee shop that i religiously go to every day. I order the same thing at the same time, with the same quirks, pay the same way ETC. However, i always get attitude, never get a smile and never get exactly what i want. I have to stair at the girls working there so they even come to take my order. I believe that it is a good idea for all businesses to realise that customer service is a pretty big thing. Training staff in providing such a service is not a luxury any more it is one of the only ways to keep up with such a competitive business market these days. For stickertyclick, customer service will be our number one priority. I will be focusing on retaining loyal customers as well as doing all we can to find more and more followers. There are many strategies that i have been working hard on to develop correctly. Please refer to the stickertyclick page on this site to view these strategies. Follow me on Twitter you twit! StickertyClick's - "The sticky fat girl"
Journey of a fat girl.. Readings in Ireland and World Wide! Musings on business and management. Sieraadgraveren.nl uw specialist in het graveren van kettingen, hangers, ringen en het vervaardigen van naamkettingen. Bekijk onze website en bestel online! The Concepts Behind Investing Money. Tips to making money through stock market investing.